UNITED NATIONS – The Middle East, one of the world’s most politically-volatile and war-ravaged regions, has doubled its arms imports during the past five years, according to the Stockholm International Peace Research Institute (SIPRI). The sharp increase in arms purchases has been triggered—directly or indirectly—by several conflicts and civil wars in the region, primarily the devastating four-year-old military conflict in Yemen which has resulted in “the world’s worst humanitarian crisis” with more than 5,000 civilians either killed or wounded in 2018. The latest figures on military sales released by SIPRI on March 11 also identifies the world’s ﬁve largest arms exporters in 2014–18, namely, the United States, Russia, France, Germany and China. (With the exception of Germany, all four are permanent members of the UN Security Council, along with the UK, the sixth largest arms exporter). Together, they accounted for a hefty 75 percent of the total volume of arms exports in 2014-18. 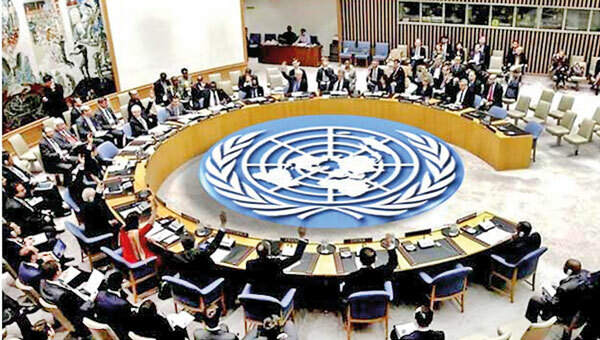 The Security Council, the most powerful UN body dealing largely with conflict-resolution, relentlessly preaches the message of peace to the world at large, while all five of its permanent members (P-5s) are peddling arms and sustaining conflicts in Yemen, Syria, Iraq, Afghanistan and Libya, and fuelling the longstanding Israeli-Palestinian conflict. The warring parties in all of these conflicts are using weapons either from the US, France, the UK, China or Russia—or are receiving military intelligence and air support from the five big powers. SIPRI said arms imports by Middle Eastern states increased by 87 percent between 2009-13 and 2014-18 and accounted for 35 percent of global arms imports in 2014-18. Saudi Arabia became the world’s largest arms importer in 2014-18, with an increase of 192 percent compared with 2009-13. Arms imports by Egypt, the third largest arms importer in 2014-18, tripled (206 percent) between 2009-13 and 2014-18 while arms imports by Israel (354 percent), Qatar (225 percent) and Iraq (139 percent) also rose between 2009-13 and 2014-18, according to SIPRI. However, Syria’s arms imports fell by 87 percent, despite an ongoing eight-year-old civil war in that country which is militarily supported by Russia and China. Dr. Natalie J. Goldring, a Senior Fellow and Adjunct Full Professor with the Security Studies Programme in the Edmund A. Walsh School of Foreign Service at Georgetown University, told IPS that SIPRI has once again documented the continuing contribution of the major suppliers to a world awash in weaponry, with the United States remaining the primary culprit. Unfortunately, these countries have allowed profits to dominate principles, said Dr Goldring, who is also a Visiting Professor of the Practice in the Duke University Washington DC programme. She said the consequences of the excessive and destabilising accumulations of weapons are particularly devastating in the Middle East.